Some Pixel 3 XL users are reporting that an extra notch has appeared on the side of their phone’s screen. 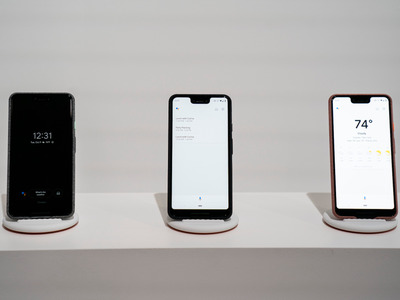 The Pixel 3 XL was already chided at launch for its large notch, which takes up a good chunk of the screen. The glitch appears to be easily fixable – changing some developer settings or resetting the phone should do the trick. Google says it’s aware of the glitch, and a fix is coming soon. If one large notch on your Pixel 3 XL wasn’t enough, your phone might randomly choose to grow a second, virtual one. Some Pixel 3 XL users are reporting a strange (and honestly pretty funny) glitch: the appearance of an extra notch located on the right-hand side of the phone’s screen. The glitch, which only seems to be happening to a few users, is pretty easy to get rid of – changing some developer settings or resetting the phone should do the trick, Android Police reports.